This simple pendant from Tom Dixon is surprisingly complex. 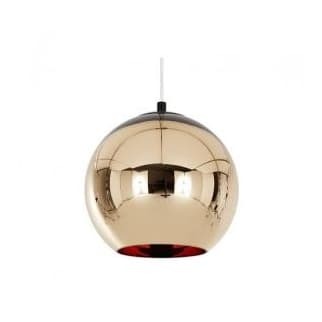 The polycarbonate sphere is vacuum metallised with pure copper and bronze giving a subtle tonal quality that is warm and striking. Holloways Of Ludlow in Brasted, United Kingdom.